being little • bristol uk fashion & lifestyle blog. : bristol | the hertz big travel list. 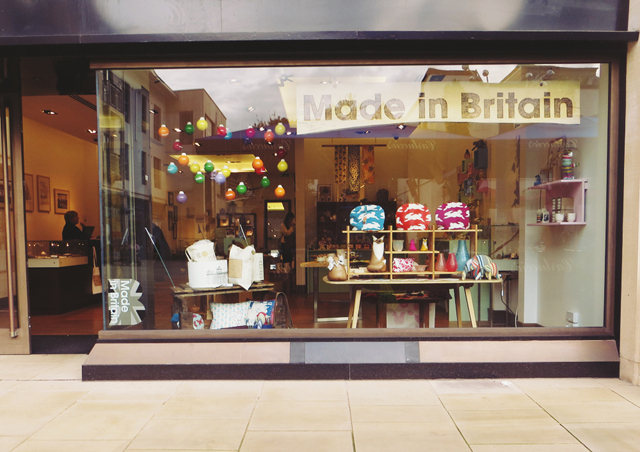 I was contacted recently about sharing with you some of my favourite places in Bristol, as part of the Hertz Big Travel List. I love my city, and I have so many favourite spots that it was really difficult to narrow it down, but here are a few places I think you should definitely visit. 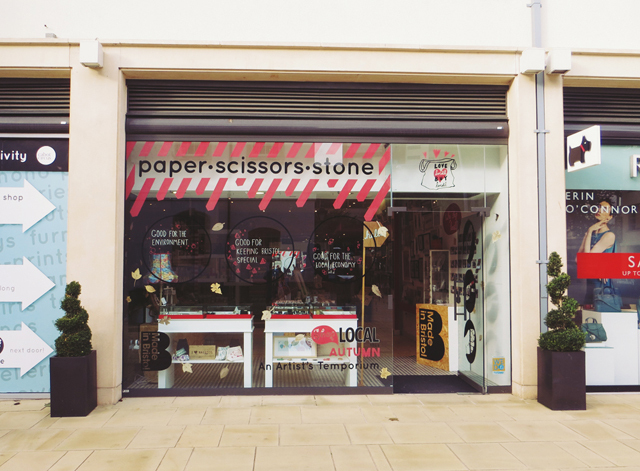 First up, a place you've probably seen on Being Little (and a few other blogs!) before, The Birdcage. 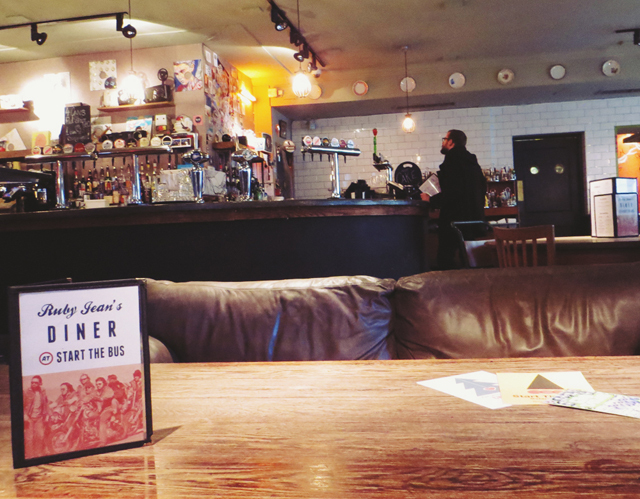 This is where we held our Bloggers' Christmas Party last year, and where I often go for a cup of tea and a cheeky slice of cake when I'm in the city centre. 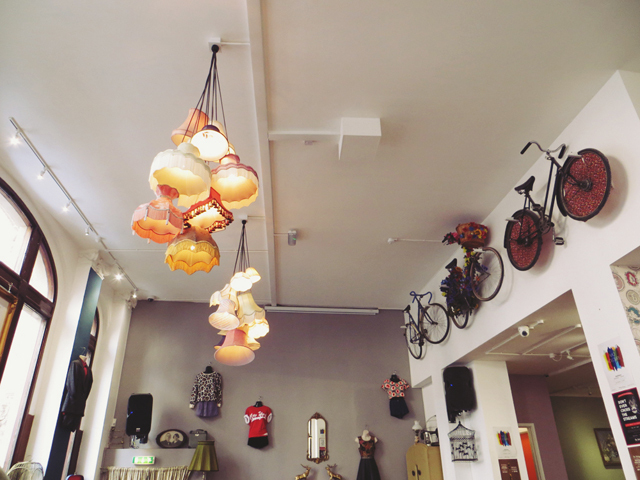 The decor is lovely - with clusters of lampshades & pretty bikes adorning the walls, plus the chunky, comfy furniture. There's also a small vintage shop inside, and super friendly staff! This cute café stays open pretty late, and has live music most nights. Pretty much everything I could ever want! Next, just down the road, is Start The Bus. 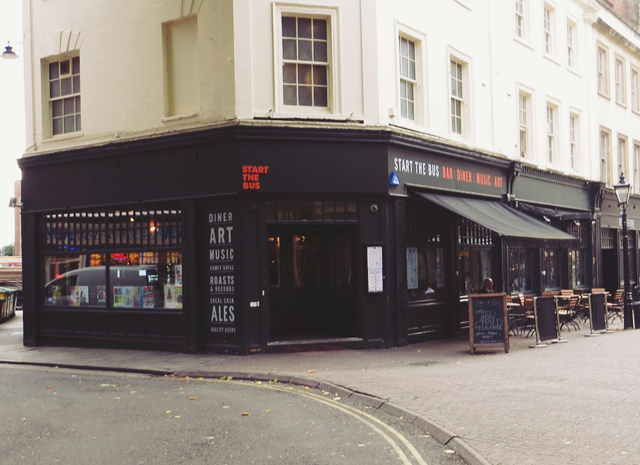 This has been around for a few years now, and has established itself as a great bar, diner and music venue. It's always my go-to place when I fancy a drink in the city centre. The interior changes from time to time (at one point it had illustrations drawn all over the walls!) but the atmosphere always stays the same. 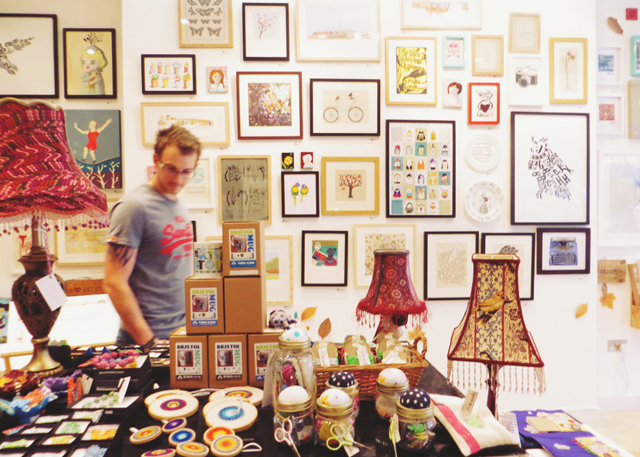 It's just a really cool place, with loads of interesting stuff to look at! 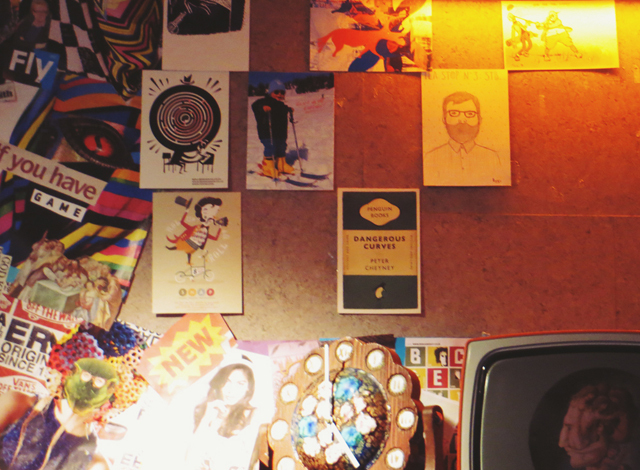 Plus, if you head over to the right hand side of the bar, you'll see a little drawing I did about a year ago! I also have to mention their yummy diner-style menu. The burgers they do are SO good, the chips are perfectly crisp, and their breakfasts are good too! I'm looking forward to heading back there on the 14th of November to watch one of my favourite bands, Big Deal. 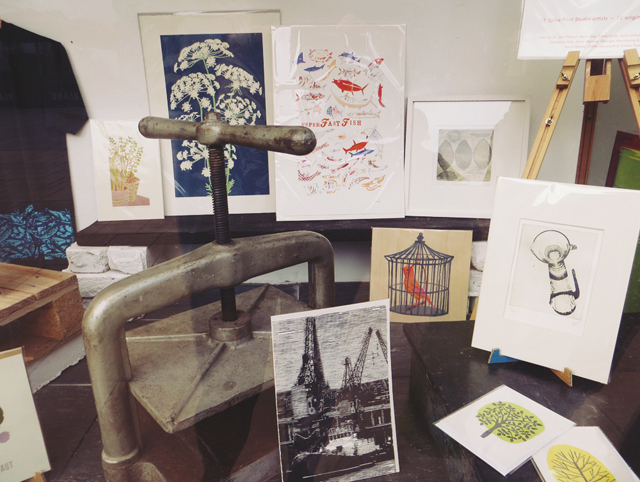 Paper Scissors Stone, Print Shop and Made in Britain are all crammed full of beautiful things, at reasonable prices. I picked up this bold tile coaster & badge from Made in Britain. 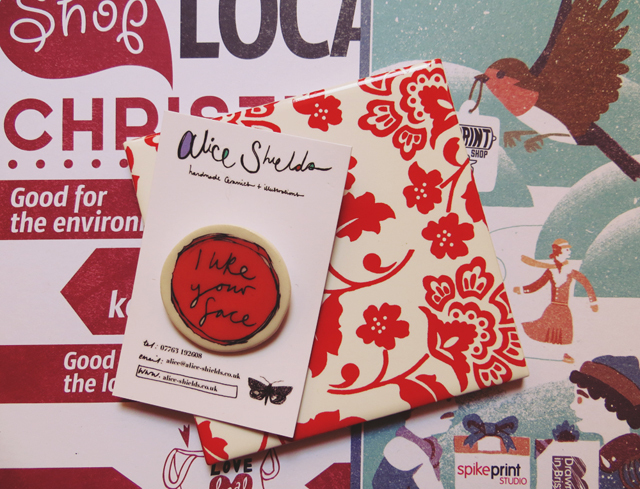 The badge is by one of my favourite illustrators at the moment - Alice Shields. 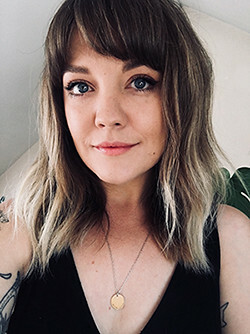 Her work is just brilliant. Finally, yup, another place to stuff your face. Burgers seem to be pretty trendy at the moment, and I'm definitely not complaining. 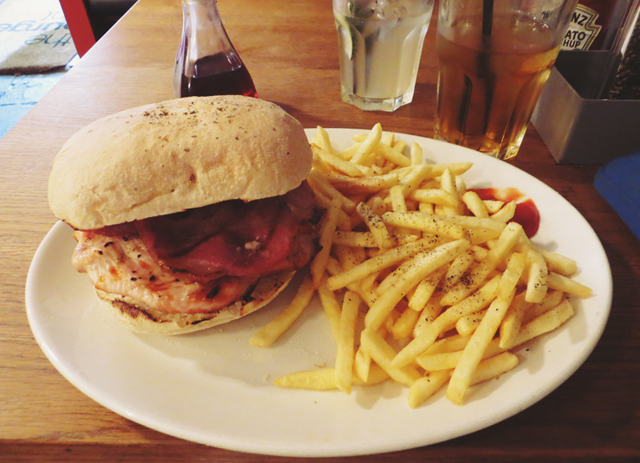 A few weeks back, we went to The Burger Joint up on Whiteladies Road with a couple of Doug's friends. 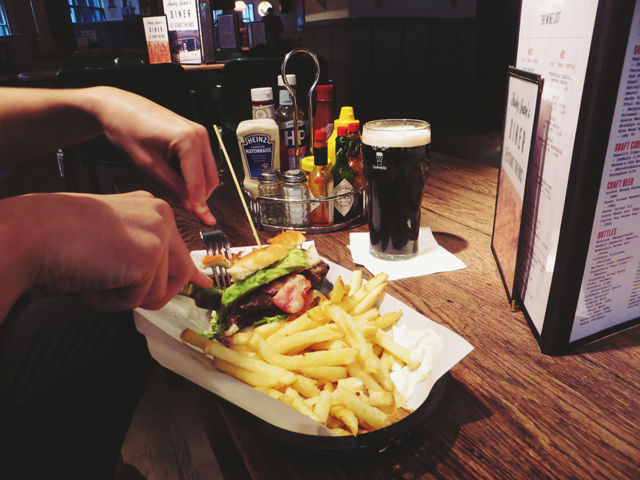 My brain and tummy were very happy, so I just had to go back to include it in this blog post. 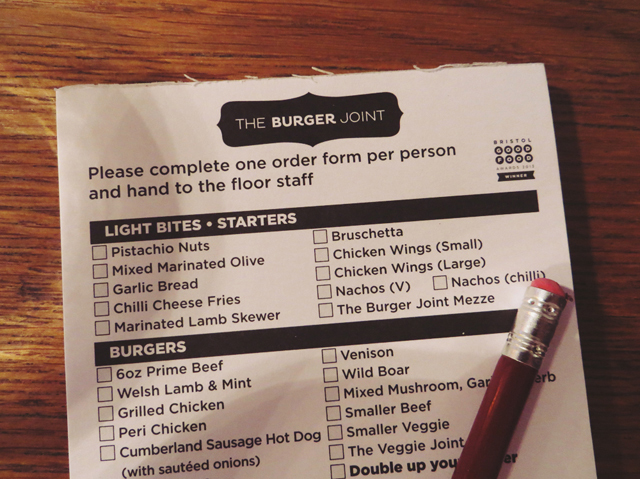 Firstly, I love that you get to fill out this little form with all the things you want on/with your burger. There are a LOT of options, and it saves you from getting all flustered when you order, and forgetting that you really wanted onion rings or chilli sauce. Secondly, YUM. The burgers are so good! This time I only had a chicken burger with bacon, which wasn't quite as epic as my first visit (chicken burger, bacon, brie, avocado, and two kinds of mayonnaise..) but it was still delicious. Plus, they do lunchtime and afternoon deals which are a bit cheaper, AND they do takeaway. 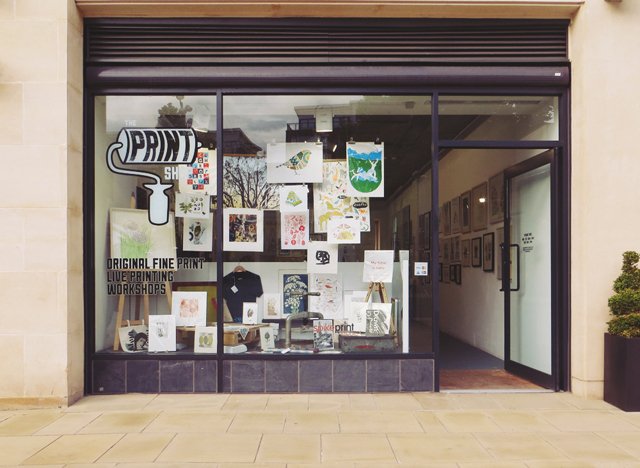 There are rumours of one opening up on North Street, which is only about 5 minutes walk from my house. I can't wait! Ooh, this is great! I'm moving to the UK from Canada in January and Bristol is where I'm looking to find a place. These cute shops and restaurants only make me more excited to head there in a few months! 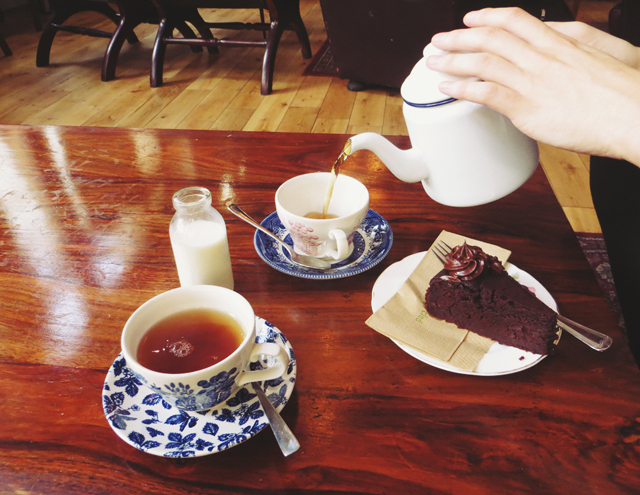 The tea and cake sure does look appealing, yum! Never been to Bristol, I would love to go! 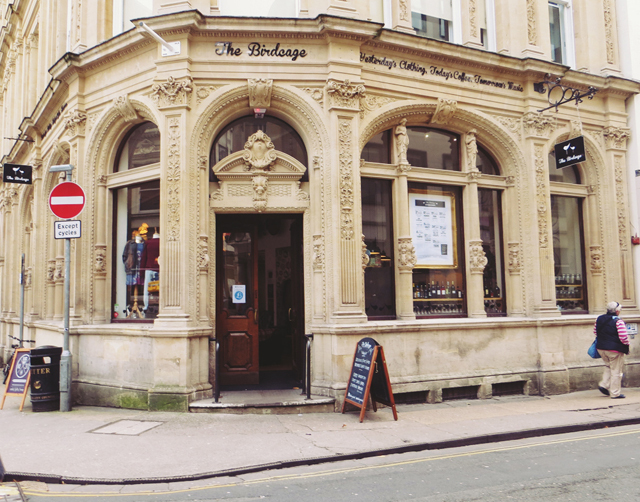 So many lovely places in Bristol, I need to start taking my camera out and doing posts like this! This is a lovely post! 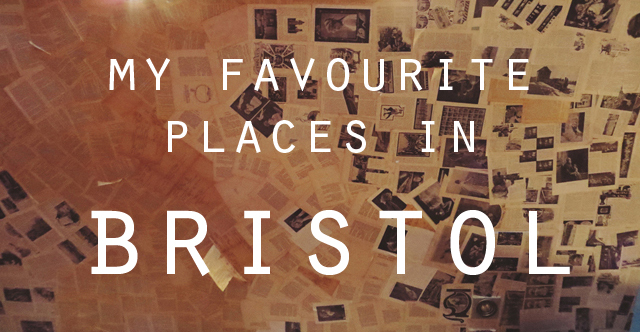 I'm hoping to visit Bristol soon and I'll definitely try to check out some of these places.